Giles Peterson brings an infectious enthusiasm to FACT, Getintothis’ Laurence Thompson gets into the samba groove with Sonzeira Bam Bam Bam. 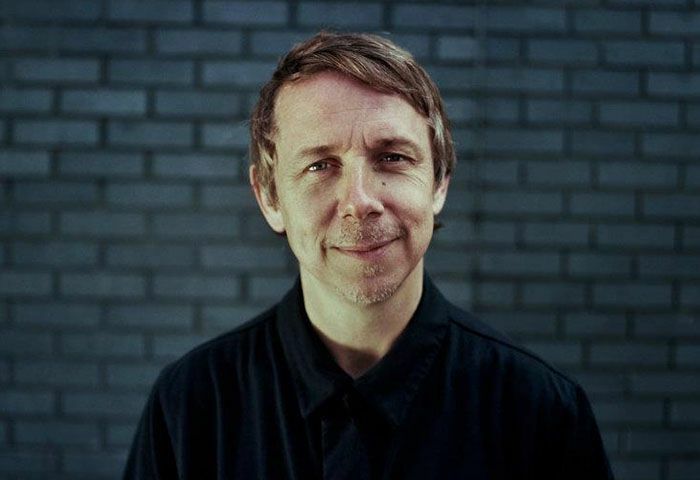 Gilles Peterson‘s enthusiasm for his project – an LP celebrating Brazilian music, featuring some of its most respected stars – is infectious. This fervour emanates both in person and on the screen, and by the time the behind-the-album documentary is a few minutes in, it’s difficult even for the uninitiated to evade the extraordinary passion the subject inspires. The project, of course, has its predecessors. The producer-as-outsider, organising a disorganised scene to promote it to a new audience, is a familiar model to anyone who remembers Eno‘s work on No New York. 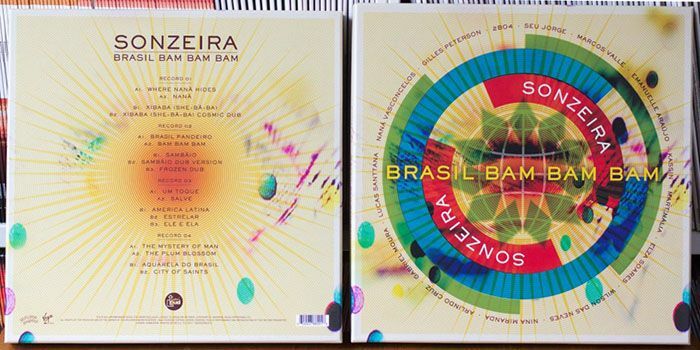 But this is no mere showcase; from the country’s well-established icons like Nana Vasconcelos and Marcos Valle to its iconoclasts such as Ed Motta or Wladimir Gasper, Sonzeira: Brasil Bam Bam Bam represents an inter-generational and trans-stylistic synthesis. A closer cultural touchstone might be Bill Laswell‘s assemblage of Pharoah Sanders and Maleem Mahmoud Ghania on Trance of Seven Colours, or Brazil’s own Hermeto Pascoal (omitted from Peterson‘s collaboration) doing arrangements and playing for Miles Davis on Live-Evil, bringing disparate irons to meet in the same fire and forge something new. Like Live-Evil, the Sonzeira outing owes something to the antiquated big-band jazz ensemble concept: no matter how many stars there are already, there’s always room for another specialist, and just when you’re done being blown away by Kassin‘s production or Vasconcelos‘ percussion, relative newcomer Emanuelle Araujo‘s summery vocals or the mythic Arlindo Cruz‘s strings impress further. As a documentary, the film itself is not an exercise in Herzogian/Franjuian eminence, and is little more than a breezy accompaniment to the album/infomercial for Rio itself . There are some genuinely enthralling party scenes covered, from the all-night first-Saturday-of-the-month sambafest at Pedra do sal to the Lapa bohemian district. If you’re planning a trip. That almost all of the featured artists were arranged before the crew left the UK means there’s no narrative struggle to present, no conflict or darkness beyond a few lip-service payments to World Cup– and Olympic-inspired police pacification in Rio’s troubled favelas. These emotions and elements were all provided by Elza Soares, who gave the film and the album their finest moment in her deeply, weirdly intimate version of Ary Barroso‘s famous Aquarela do Brasil anthem. As Peterson said in the Q&A that followed the screening, it’s difficult to reduce many of these figures to English equivalents, but if you imagine Dusty Springfield, still alive in her late 70s, doing a close, misty cover of Jerusalem, you might be halfway there – if it had been Sir Hubert Parry or William Blake who had discovered Dusty to begin with, as Barroso did Elza. The rapid, shuddering hand snare and bongo-charged percussions, the non-lexical vocables that make Brazilian music – whether it be baile funk, choro, bossa nova or just samba – unique are also what can make it opaque, and this LP doesn’t always go easy on the newcomer. We can recommend the film for this reason and all but this reason only – for the non-devotee, it demystifies an musical exhibition pregnant with provincial richness.